Precision Polymer Engineering designs and manufactures custom molded rubber parts and bespoke engineered components to the most exacting customer specifications. From a one-off part up to 1 million+ parts, PPE can meet your quantity requirements. Problem solving is central to our culture, providing customers with optimal design solutions. Using the latest elastomer materials and manufacturing techniques, combined with many years of top level sealing experience, PPE can produce custom molded rubber shapes and profiles to meet any requirements. 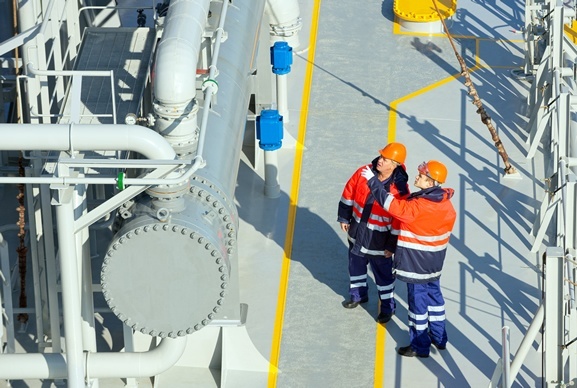 By working more closely with our customers, our engineers can develop sealing solutions which last longer, require less maintenance and deliver the lowest cost of ownership. Why Choose PPE for Custom-Engineered Seals? PPE offers a complete component design service, with the ability to produce and accept electronic CAD drawings using the latest software. 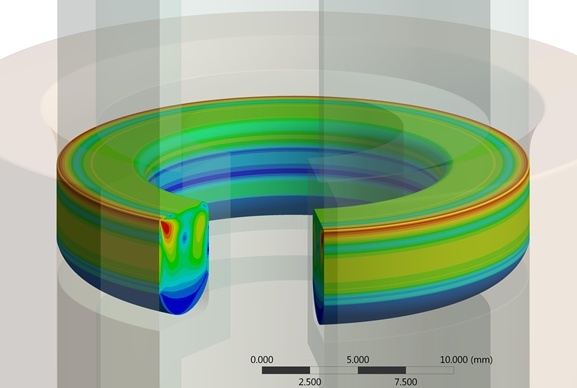 Finite Element Analysis (FEA) allows our design team to explore a multitude of ‘what if’ scenarios, ensuring the final seal design is right first time. As one of the world's most respected suppliers of custom-molded sealing components, many of the largest international manufacturing companies make us their first choice supplier - valuing our consistent high quality products and personal level of service. We are design certified to ISO 9001:2008 and our expert designers capture your requirements and translate these into hardware recommendations and custom designs. We accept a wide range of various formats of electronic drawings including IGES, STEP, PARASOLID, PRO-E®, Inventor, DXF, DWG and many others. 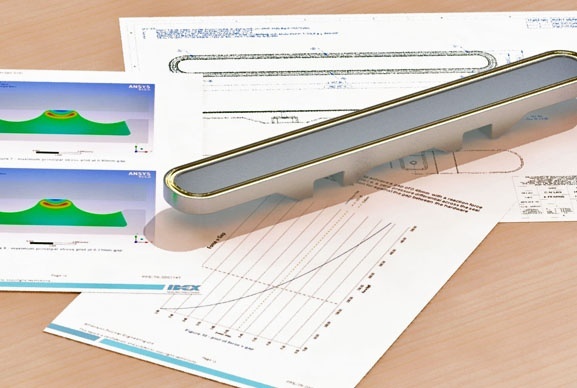 We then import these into SolidWorks® for our team of design engineers to work with. How can we help? Send us your requirements, our sealing experts are ready to help. Provide some brief details of the custom parts needed and we'll respond with our best solution.